This is what we call dramatic irony. Christ himself is the way, the truth, and the life, and in him alone is truth. All aspects of truth knowable in this life are but a reflection of he who is truth. And as the Church is the true Body of Christ, the Church is therefore the “pillar and bulwark of the truth” (1 Tim. 3:15). Holy Tradition is a charismatic revelation of this truth to God’s people—as lived, received, and passed down in the life and ministry of the one holy, catholic, and apostolic Church. But what is the nature of truth? And how should it be expressed? For Christians, teaching is a risky and even dangerous proposition. To whom much is given, much is expected. Those who would teach others are scrutinized far above the rest. This reality weighs heavily on my conscience (with a website like this), as I share with others. There is a great deal of responsibility involved. Anyone with a platform to reach or influence others should take this into consideration, treading lightly. In the Orthodox Church, the purpose of theological discourse is not originality, popularity, or novelty. Our goal is not innovation or abandoning centuries of faithful witness. 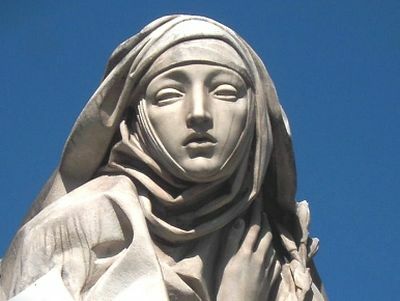 On the contrary, our goal is to see ourselves united with the Mind of the Church as She is and always has been. This revelation might be progressive in the sense of how it’s related to us through history, language, and culture, but the essential truths are ever the same, since “Jesus Christ is the same yesterday, today, and unto ages of ages” (Heb. 13:8). While Orthodox theology has usually tended towards the apophatic or “negative”—preferring to claim what is not true about God, rather than what is—this is not a license for either idle speculation or obscurity. Unfortunately, most academic theology today strays from orthodoxy in its predilection for uncertainty. This bears a striking resemblance to academics in our present context. And yet Orthodox Tradition insists on certainty. The fathers set forth a number of explanations of the world that defy both logic and reason, that are yet neither illogical nor unreasonable. They are spiritual truths that go deeper than what is apparent, and they are truths that edify more than anything science will ever theorize. These explanations might not satisfy the Academy, but they are light and life for our souls. For example, as far as the Church is concerned, the earth is usually flat. As far as the Church is concerned, the apostle Paul authored the letter to the Hebrews. As far as the Church is concerned, Monophysitism is a heresy, not a misunderstanding. As far as the Church is concerned, the Holy Spirit eternally proceeds from the Father, and not from the Father and the Son. As far as the Church is concerned, all bishops are equal, even if one presides in love among his brothers. As far as the Church is concerned, there are a number of historical events that actually happened, and a number of people who actually exist. As far as the Church is concerned, there is one—and only one—apostolic, catholic, and eternal Church of God. But for the Academy and her stewards—whether Orthodox, Catholic, or Protestant—such claims are not sufficient. Most of the time, certainty is rejected and even mocked. The Academy finds these matters far from clear, open to discussion and speculation. Those in league with the Academy are seemingly ashamed by the simplicity of truth. For them, not everything is as it seems. The simple is devalued, while the extravagant or obscure is endeared. But in the Orthodox Church, we really do believe in certainties. There are things to be believed, known, and even understood. And like that ancient serpent, the Academy disputes the Church when told anything they don’t like. But truth isn’t what we want to believe or what we’d prefer to be the case. Anyone walking that fine line between academic study and a faithful Christian life would do well to keep this in mind. For many, this event is little more than a well-leveraged commemoration of an extended olive branch between these two ancient, Christian faiths. For others, concern over the future of their respective churches takes center stage. Will this event be used as an impetus for doctrinal compromise? Will the future of either Eastern Orthodoxy or Roman catholicism hang in the balance as a result of this pending exchange of pleasantries? A Quest for Truth on the Path of Reason. 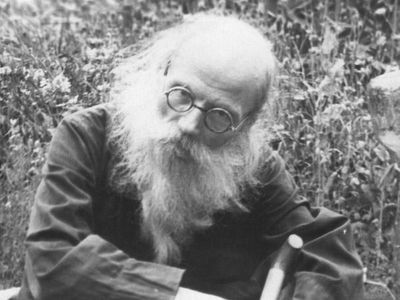 Alexei Ilyich Osipov A Quest for Truth on the Path of Reason. 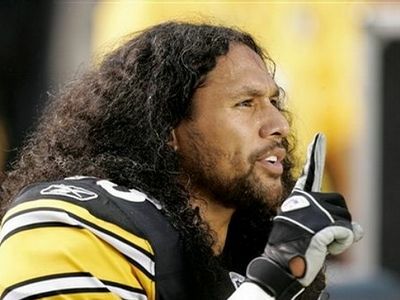 Steelers safety Troy Polamalu said his quest for religious guidance was an attempt to find true meaning in his life. You do mean flat poetically and spiritually right? Not that the earth isn’t a sphere in space, right? An excellent explanation and presentation of Orthodoxy’s approach to the Truth we share in Christ. Truth is not meant to change God, for God in an invariable constant like (Pi) is to mathematics. Instead, the Truth or the Constant is meant to change us and the relationship we have with Him along with the relationships we have within society and the created world. The world likes to proclaim its sins as oppose to confessing to its weaknesses, and there is a world of difference between proclaiming our sins as oppose to confessing to them. The first denies and obscures the Truth, the second searches and finds it.